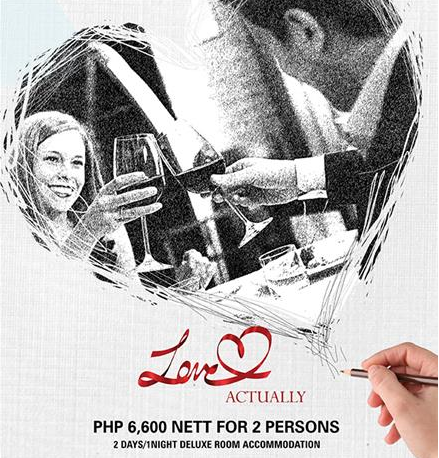 Whisk your special someone for a night that is sure to be one for the books. You and your Valentine can unwind for an intimate dinner at Boulvar Sports and Music bar for a 4-course candlight dinner. The thing that makes the world go round will once again be the center of Valentine celebrations. The first ten (10) couples who reserves their seats will get to take home a sketch of themselves as remembrance of the love they've shared. Stay where your heart belongs and give in to your cravings. For only Php 6,600 nett, stay in a Deluxe room inclusive of a buffet breakfast for two, your romantic date, and end the night with luscious pralines with wine to toast and a lovely rose for the lady.